How to choose good anti-dandruff shampoo? There is no perfect product. Mostly because dandruff can have various causes. In spite of it, it is worth to reach for cosmetics with such ingredients as jojoba oil. It prevents dandruff and decreases its intensity. Is Emma Noël anti-dandruff shampoo effective thanks to jojoba oil? Nowhere, really. Excess exfoliation of epidermis on head is frequently related to yeast fungus, that develops in spaces between oily hair and disrupt the epidermis processes of regeneration. Equally often dandruff is a reaction to wrong hair care products, for example mousses, shampoo, gel or hair dyes. Of course, there is a number of additional causes for dandruff to appear, for instance stress, fatigue, allergies, hormonal dysfunctions, imbalanced diet or not rinsing cosmetics thoroughly enough. What should you do when dandruff appears? In the era of high-tech formulas developed under the watchful eye of experts is not at all difficult to remove dandruff. In almost every drugstore available are at least few propositions for hair with dandruff. The problem is to choose cosmetics or oils (such as jojoba oil), that will solve the problem, but do not cause irritations to the skin. 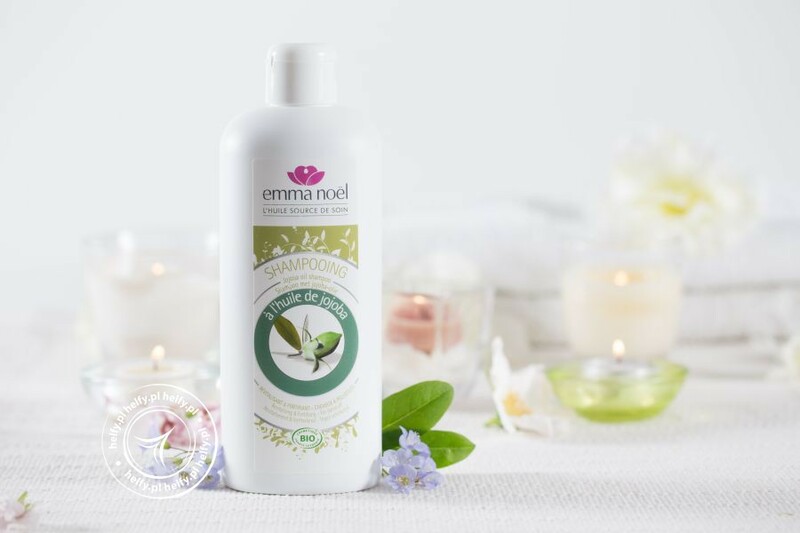 Shampoo for the elimination of dandruff, Emma Noël, is a natural and hypo-allergenic product. It has complex action and at the same time does not disrupts the condition of hair and scalp. nourishes, strengthens, smoothers and provides elasticity. Composition: The recipe of anti-dandruff shampoo Emma Noël is based on one ingredient. Here JOJOBA OIL turns out to be the remedy for sensitive scalp. It consists of squalene, that is present in natural human sebum. Therefore, jojoba oil can with no problem regulate sebum secretion and indirectly dandruff. Beside jojoba oil, Emma Noël shampoo contains also sage flower water and mix of essential Moroccan cade oils.